The calendar has turned from September to October, and now we start to separate the pretenders from the contenders. The season has gotten off to an exciting start with a few early season upsets and exciting games but now the dreams of playing in the post season will now be made or broken during the month of October. October starts with surprise teams like Howard and Alabama A&M being right in the thick of things as far as their conference title races, and South Carolina State and Jackson State starting the month with multiple losses in conference and face steep uphill climbs to get back in contention. The road to Atlanta and the post season resumes this weekend and we’ll take a look at the 6 most intriguing matchups in HBCU football for Week 6. When the season started everyone predicted that the Eagles of North Carolina Central would be right back at the top of the MEAC following their 2016 conference title which followed up co-conference titles in 2014 and 2015. If you asked people about most intriguing games of the 20127 season back in August, this game wouldn’t have even made a blip on the radar. Howard was predicted to 7th in the MEAC and this game was supposed to be an easy win for the Eagles. Howard comes into Saturday’s contest 1-0 in the MEAC and the opportunity to go 2-0 in conference play for the first time since 2012. The Bison of Howard knocked off Bethune-Cookman 26-24 two weeks ago and now pose a serious threat to the Eagles on North Carolina Central. 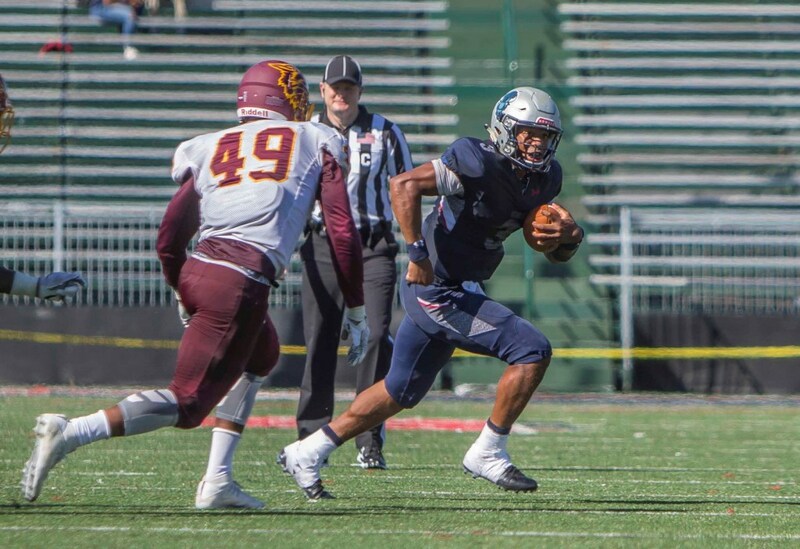 Freshman Quarterback Caylin Newton of Howard has been one of the stars of the early season but North Carolina Central has a freshman sensation at Quarterback of their own by the name of Chauncey Caldwell. Caldwell came up big in the last two games, accounting for 2 touchdowns and 285 total yards. The Eagle are battle tested, winning each of their last two games by 7 points or less. When Saturday concludes either the defending champion will still remain at the top of the standings or the new and up or coming team will control its own post season destiny! South Carolina State has won 6 conference titles since 2004 and this season was expected to be a bounce back season for the Bulldogs who went 5-6 a year ago. That 5-6 mark was South Carolina State’s 2nd losing season in 15 years. Losing doesn’t happen much in Orangeburg but already this year the Bulldogs have lost 3 games and was 0-2 in the conference before the calendar struck October. The Bears of Morgan State have had a nightmare-ish 2017 season so far going 4 weeks into the season before they even scored a point. A game like this might be what the doctor ordered for South Carolina State who needs a win desperately to keep any hope alive for a conference title and post-season bid. The Bulldogs of South Carolina State has been stellar defensively this season with the league’s number 2 rated defense only allowing 17 points per game, and All-American Linebacker Darius Leonard has been good as advertised leading the conference with 43 total tackles. I win on Saturday would keep South Carolina State mathematically in the conference race with a lot of football left to be played, a loss would end all hopes and would give Morgan State confidence heading into the rest of the season. Its homecoming on “The Bluff” in Baton Rouge and The Jags need a win to stay in contention for the Western Division title. Alabama A&M has started 2-0 in the conference for the first time since 2012 and head into Baton Rouge a confident team behind Freshman Quarterback Aqeel Glass. Glass is coming off an amazing homecoming performance against Arkansas Pine-Bluff last Saturday where we went 26 of 43 in passing for 291 yards in the Bulldogs’ 27-14 win. The Bulldogs of Alabama A&M also boast the league’s second ranked defense as far as total yards which has complimented their freshman quarterback. Southern came into the season with a veteran defensive unit which was expected to be the strength of the team but through the first 5 games the Jaguars are ranked eighth in total defense and have allowed 1,119 rushing yards already this season which is next to last in the conference. Southern’s success will be based on how well they stop the run and pressure the freshman quarterback from Alabama A&M. The bright spot for the Jaguars defensively has been their pass defense which is third in the conference and will be the most talented secondary that Aqeel Glass has seen in conference play. The Jaguars know that Saturday is a must win if they have any plans on going to Houston or Atlanta in December and the Bulldogs know that if they up off the upset in Baton Rouge it would signify that they are a legitimate conference title contender for the first time since 2012. There was a time where you could head out to the Cotton Bowl for the State Fair Classic and right after half-time you could be in line for your favorite ride at the fair midway because the game was already decided. From 1987 until 2009 the Tigers of Grambling dominated this rivalry against Prairie View winning 21 in a row with only a handful of those contest being competitive. Since 2009 things have changed and the Panthers of Prairie View now come into this contest expected to win against Grambling. This season the Panthers and Tigers come into Saturday’s contest tied for first place atop the Western Division Standings in the SWAC. The Tigers are the defending conference champions but they haven’t looked the part at times during the 2017 season. A week ago Grambling was challenged by Division 2 Clark-Atlanta and squeaked out an 11 point win against the Panthers of from Atlanta. Now the Texas sized Panthers from Prairie View are up next and they look to exploit a Grambling defense that gave up 428 total yards a week ago. As bad as Grambling has looked they are still 4-1 and have found a way to win four games in a row. Grambling’s wins may not have been pretty but an ugly win is better than a pretty loss. Prairie View has the number one ranked defense in the SWAC while the Tigers of Grambling are ranked third in the conference. The key to Saturday’s game will be avoiding the turnover bug which both teams have done all year being ranked one and two respectively as far as turnover margin, Devante Kincaid comes back home for his final State Fair Classic and he must be the Devante Kincaid of 2016 if the Tigers are to leave Dallas with sole possession of the top spot of the Western Division. Plain and simple, these two teams need a win. Hampton comes into Saturday’s contest 2-3 but more importantly the Pirates are 1-0 in the conference with an opportunity to get to 2-0 and stay with the leading pack in the conference race. 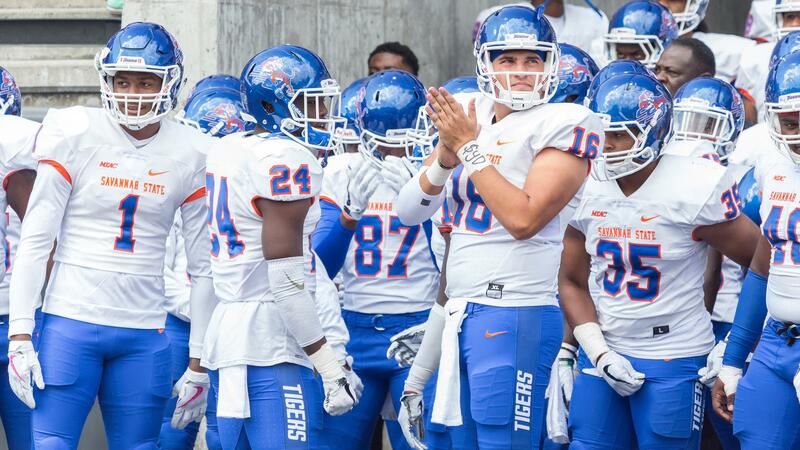 The Tigers of Savannah State might be the most improved team in the league outside of Howard. The Tigers lost their first two conference games by a combined 18 points and had opportunities to win both games late. Hampton’s defensive unit has improved dramatically from a year ago and now they have the top rated defense in the MEAC against the pass. Big play running back Yahkee Johnson of Hampton is still waiting to have that break out game in 2017 but is fourth in the league with 283 rushing yards. Savannah State must avoid giving up the big play which plagued them in their first two conference games and The Tigers must do a better job of protecting the quarterback if they expect to get a win over the Pirates. Two weeks ago the Tigers of Tennessee State were 3-0 and ranked as high as 21st in the FCS polls, but two straight close losses have the Tigers clinging to their post season lives. Meanwhile Eastern Kentucky limps into Saturday’s contest with a 1-3 record and a big loss on the road at Southeast Missouri State. On paper the Tigers should come into Richmond and leave out with a win but winning in Richmond has been very challenging for the Tigers in the past. The Tigers have not picked up a win at Roy-Kidd Stadium since 2009 but Saturday is a golden opportunity for the Tigers to end the streak. If Tennessee State plans to be a participant they must win on the road on Saturday and to pick up the win Quarterback Treon Harris must have big game. Right now the Tigers are only averaging 183 pass yards per game and is ranked near the bottom of the league in turnover margin. Turnovers have doomed the Tigers the last two weeks and they must limit turnovers in order to win. Eastern Kentucky has the league’s to passing offense and Quarterback Tim Boyle is the second highest rated passer in the league but Tennessee State is one of the OVS top rated pass defenses. In a game of strength vs strength the wildcard of the game just might special teams which would give the edge to Tennessee State.